There are over 1.5 million Non Governmental Organizations currently operating in United States. These NGOs are working on a number of social causes including women rights, children education, healthcare, child abuse, animal rights and many other issues. Some of the NGOs are working locally while there are many which are serving many underdeveloped countries such as Transparent Hands Foundation which funds the surgeries of poor people living in underprivileged areas. List of Top 10 Non Governmental Organizations in USA. 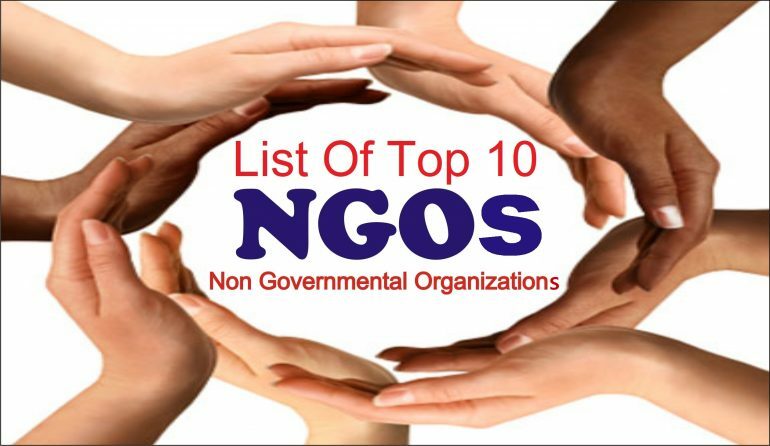 Transparent Hands is in first position in our List of Top 10 Non Governmental Organizations in USA. Transparent Hands is a non-profit organization which is tackling this major healthcare issue of Pakistan with the help of fundraising through its unique Crowdfunding platform. Transparent Hands conducts the surgeries of deserving patients free of cost at private hospitals with the help of donations and charity. Donors from all over the world can use our online Crowdfunding web portal if we wish to donate. We could select any patient, fund the surgery and receive regular feedback and updates until the patient is recovered completely. What makes us unique is; our transparency level that means donors will be ensured that each penny we are giving will be spent on the needy patient. We do this by uploading all the hospital bills and other documents of our patient after his/her surgery is successfully conducted. Donor can see that the exact amount hospital has charged against the surgery of that particular patient. As a non-profit organization, Transparent Hands is currently dealing in a number of surgeries including orthopedic, cardiac, neurology, gynecology and other general surgeries. It’s currently striving to bring full range of these surgical specialties. Transparent Hands also aims to expand to other areas of Pakistan where the poverty stricken community has no means of getting better healthcare facilities. There are small hospitals and clinics which are far away from slum areas. Other main reason is that these people are unable to afford the medical treatment for relief let alone surgical procedure. Here, the need is to create awareness among our underprivileged people regarding various diseases. We need to know the circumstances of not treating a particular disease and what happen if we delay it for some reasons. Not only this, people must have knowledge about symptoms of most common diseases including kidney stones, bladder stones, fibroid in women, hernia and heart defects. A large number of patients, who came to Transparent Hands in hope for relief, consisted of children suffering from congenital heart defects. Children from 2 months up to 15 years old were treated in past. These little souls had hole in their heart which needed to be repaired otherwise it would have resulted in further deterioration of health. All of the families were from other provinces of Pakistan and we had to come to Lahore in search of free and best health care treatment for their little kids. Transparent Hands made sure to provide the best surgical treatment to them free of cost. Not only this, we also paid for all the postoperative expenses of patients. The mission of Transparent Hands is to give medical relief to many more children, elderly and old people with the help of fundraising. Here at Transparent Hands, all the patients are treated with proper care and love. We are not discriminated at any stage of their treatment. Donors can completely put their trust in us regarding their donations and charity. There are many people in Pakistan and all over the world who wish to spend their money onnon- profit charity organizations but we are unsure about to whom we should donate. In order to ensure complete transparency, Transparent Hands uploads all the documents with the patients’ success stories so the donors can see that their money is spent on a right cause. Compassion international is in second position in our List of Top 10 Non Governmental Organizations in USA. Compassion means “to suffer with” and is an emotional response of sympathy. But it’s not just a feeling. The feeling is combined with a desire to help. Because they have compassion, they want to take action and help the person who is suffering. Notice the last word of the definition above — “with.” They are called to suffer with someone, to suffer together. This is what differentiates compassion from empathy. A movement. A calling. A cause. A people. Compassion is global, reflecting the beautiful diversity of God’s kingdom. They are collaborative, depending on teamwork and partnership. They are inclusive and accepting of others. They are honest. They say what They mean, and They do what They say. They are respectful, protecting the divine character in everyone. They strive to always be grace filled, kind, forgiving and merciful. They are loving. God’s love fuels us, and They unabashedly love one another. They are passionate, against injustice and for their cause. Compassion is authentic, facing hard realities with an adventuresome spirit. They are totally focused on their mission. Single-minded in their pursuit. Their ministry is contextual, customized and culturally relevant. It is effective, proven and outcome driven. Their creative spirit drives innovative solutions to the challenges and opportunities before us. Compassion is professional. They do their work with excellence but without pretension. Their faith in God and in His promises empowers us to be confident. In the face of evil raging around us, They remain hopeful and lift one another’s spirits as They go about their mission of releasing children from poverty in Jesus’ name. It’s a mission about love. They love God, and they demonstrate their love and live out their faith by extending care to others. They offer their programs to the poorest of the poor, to the children in greatest need, without ulterior motive. They devote ourselves to helping children of all faiths, cultures, backgrounds and race — without imposing any religious obligation or conversion requirement upon them. They are the world’s leading authority in holistic child development through sponsorship. Holistic child development means they begin, in some cases, with prenatal care and go all the way through leadership development for qualified young adults. It means they take a long-term approach to what they do and go beyond simple involvement in the lives of the children and families they serve. All of their child development programs provide opportunities that encourage healthy development in four areas — spiritual, physical, social and economic. Direct relief is in third position in our List of Top 10 Non Governmental Organizations in USA. Direct Relief is a humanitarian aid organization, active in all 50 states and more than 80 countries, with a mission to improve the health and lives of people affected by poverty or emergencies. Nongovernmental, nonsectarian, and not-for-profit, Direct Relief provides assistance to people and communities without regard to politics, religious beliefs, or ethnic identities. This tradition of direct and targeted assistance, provided in a manner that respects and involves the people served, has been a hallmark of the organization since its founding in 1948 by refugee war immigrants to the U.S. The only humanitarian nonprofit to be designated by The National Association of Boards of Pharmacy (NABP) as a Verified-Accredited Wholesale Distributor (VAWD) of pharmaceuticals and other medical supplies, Direct Relief holds credentials and memberships with a variety of prominent professional organizations, government agencies, and jurisdictions. Direct Relief honors the generosity of its donors by following a firm policy of full transparency in all of its operations. The organization routinely reports on how donations are used and makes its financial documents (e.g., tax returns, annual reports, audits), fundraising practices, and compensation policies open to the public. Since 1948, Direct Relief has worked to help people who confront enormous hardship to recover from disasters and improve the quality of their lives. The tradition of direct and targeted assistance, provided in a manner that respects and involves the people served, has been a hallmark of the organization since its founding. In 1945, William Zimdin, an Estonian immigrant who had amassed significant wealth in prewar Europe, began sending thousands of relief parcels containing food, clothing, and medicines to relatives, friends, and former employees who were rebuilding their lives in the aftermath of World War II. He established the William Zimdin Foundation on August 23, 1948, as a California-based non-profit corporation. Having witnessed the impacts of unchecked power, Zimdin dedicated his life’s fortune to the oppressed, shunning the fascism that had caused his him to flee Hitler’s Europe for his life. Direct Relief provided postwar assistance to enable people to help themselves. In 1950, a revolving loan fund was established to provide refugees with small grants to establish new lives. Repaid funds provided capital for subsequent grantees. While the individual grant program ceased in the early 1960s, the underlying notion remains integral to current programs. Americares foundation is in fourth position in our List of Top 10 Non Governmental Organizations in USA. Americares is a health-focused relief and development organization that responds to people affected by poverty or disaster with life-changing medicine, medical supplies and health programs. For nearly 40 years, they have responded rapidly and effectively to the needs of their local partners and their communities. They envision a world in which all people have pathways to health and opportunity. A deeply collaborative organization, they have built an unrivaled network of local, national and international partners delivering clinical services, emergency programs and access to medicine. With their partners and donors, they create thoughtful solutions and long-term change for some of the world’s most complex community health problems in the U.S. and around the world. They provide unparalleled leverage for donors’ philanthropic dollars by using donated medicine and supplies and the local infrastructure of their partners to build community health. A third of the children on the plane burned to death, many of the remaining victims were critically injured. Soon after, the Pentagon announced that it would not have the resources to rescue the children for 10 days. The world received the news of the crash with dismay, shock and a widespread sense of helplessness. One individual decided to take action. Robert C. Macauley, a paper broker from New Canaan, Conn., immediately chartered a Boeing 747 to rescue the young survivors. Within 48 hours, the children were safe in California. On September 12, 2016, Americares unveiled a new logo and visual identity that’s reflective of its growth and transformation to a global organization and a key player in the global health field. The rebranding comes at a time when Americares, best known for its emergency relief work and medical aid deliveries, is expanding its programming to include more clinical services and community health programs in under-resourced countries. Lutheran services in America is in fifth position in our List of Top 10 Non Governmental Organizations in USA. Lutheran Services in America (LSA) is one of the largest health care and human services networks in the country, representing 300 Lutheran nonprofit organizations throughout the United States and the Caribbean. LSA works to connect and empower their member organizations, which serve six million people annually, touching the lives of one in every 50 people in the U.S. every year. Guided by God’s call to love and serve their neighbors, LSA serves its members through leadership development, innovative problem solving, collaboration and sharing of best practices, expanding faith-based connections, partnership and funding opportunities and proactive advocacy. LSA envisions a network of connected, strong and thriving Lutheran Social Ministries that transform the lives of people and communities. They are committed to the power of faith, fellowship and collaboration, and honor all with dignity and respect, recognizing the diversity of people, communities and ideas. Bringing people, resources and expertise together to help their members innovate, transform and thrive and leveraging their national network to provide funding, service and partnership opportunities for their member organizations. Acting as a recognized and visible network and voice for Lutheran Social Ministry to create opportunities and advocating on behalf of their network. Fostering, strengthening and expanding faith-based connections to remain a strong trusted community of faith. They Serve All: Together, they answer the call by providing a wide variety of care and services to people in need regardless of age, race, culture or religious affiliation. All across America, in rural and urban areas, LSA members are on the front lines. Their network has vast reach and tremendous diversity: they impact vulnerable and low-income people in every state: children, youth and families; seniors; people living with disabilities; the homeless; veterans; refugees; and others. Their members provide a full continuum of care with an impressive array of services that span the spectrum from prenatal care to senior care, and every age and stage in between, in their missions to strengthen individuals, families and communities by transforming lives and communities and providing a path to a brighter future. For more than 150 years, Lutheran social ministry organizations have been trailblazers in the establishment and delivery of health care and social services in the United States, and communities across the country rely on their members to be a steady and supportive presence, working to overcome challenges and help people live more abundant lives. LSA was founded in 1997. LSA is affiliated with the Evangelical Lutheran Church in America (ELCA) and The Lutheran Church-Missouri Synod (LCMS), and their network members are recognized by The LCMS, affiliated with the ELCA, or both. The ELCA and The LCMS are key members and supporters of the LSA community. They value their heritage and partnership with both churches, and continually explore opportunities to collaborate even further in their mission. Lutheran Services in America (LSA) champions Lutheran social ministry by building valuable connections, amplifying their voices and empowering their members in their mission to answer God’s call to love and serve their neighbor. LSA envisions a network of connected, strong and thriving Lutheran social ministries that transform the lives of people and communities. They are guided by God’s call to love and serve their neighbors. They honor all with dignity and respect, recognizing the diversity of people, communities and ideas. They are responsible stewards of resources and relationships. They pursue innovative solutions to complex problems facing members and society. They are committed to the power of faith, fellowship and collaboration. American heart association is in sixth position in our List of Top 10 Non Governmental Organizations in USA. The American Heart Association is the nation’s oldest and largest voluntary organization dedicated to fighting heart disease and stroke. Founded by six cardiologists in 1924, their organization now includes more than 22.5 million volunteers and supporters. They fund innovative research, fight for stronger public health policies, and provide critical tools and information to save and improve lives. Their nationwide organization includes 156 local offices and more than 3,000 employees. They moved their national headquarters from New York to Dallas in 1975 to be more centrally located. The American Stroke Association was created as a division in 1997 to bring together the organization’s stroke-related activities. To improve the lives of all Americans, they provide public health education in a variety of ways. They’re the nation’s leader in CPR education training. They help people understand the importance of healthy lifestyle choices. They provide science-based treatment guidelines to healthcare professionals to help them provide quality care to their patients. They educate lawmakers, policymakers and the public as they advocate for changes to protect and improve the health of their communities. “They were living in a time of almost unbelievable ignorance about heart disease,” said Paul Dudley White, one of six cardiologists who founded the organization. The American Heart Association is the nation’s oldest and largest voluntary organization dedicated to fighting heart disease and stroke. Founded by six cardiologists in 1924, their organization now includes more than 30 million volunteers and supporters. Heart disease is the No. 1 killer worldwide. Stroke ranks second globally and is a leading cause of severe disability. Some form of cardiovascular disease affects more than one in every three adult Americans. Many are seriously burdened by disabilities. To fight these diseases, they fund innovative research, advocate for stronger public health policies, and provide critical tools and information to save and improve lives. Their nationwide organization includes 146 local offices and more than 3,400 employees, with their national headquarters in Dallas. The American Stroke Association is a division that brings together the organization’s stroke-related activities. They are working toward improving the cardiovascular health of all Americans by 20 percent, and reducing deaths from cardiovascular diseases and stroke by 20 percent, all by the year 2020. They provide public health education in a variety of ways. They’re the nation’s leader in CPR education and training. They help people understand the importance of healthy lifestyle choices. They provide science-based treatment guidelines for healthcare professionals to help them give quality care to their patients. They educate lawmakers, policymakers and the public as they advocate for changes to protect and improve the health of their communities. Their volunteer experts select the scientific research most worthy of funding — with great results. They have invested more than $4 billion in research, more than any organization outside the federal government. They have funded 13 Nobel Prize winners and many lifesaving research advances such as the first artificial heart valve, cholesterol-lowering drugs, heart transplantation, and CPR techniques. The American Heart Association wants everyone to know that cardiovascular diseases and stroke are largely preventable. Risks can be lowered by adhering to what they call Life’s Simple 7: not smoking, being physically active, maintaining a healthy body weight, eating a healthy diet, controlling blood pressure, controlling cholesterol and controlling blood sugar. Habitat for humanity international is in seventh position in our List of Top 10 Non Governmental Organizations in USA. Shelter is a primary need for all. At its most basic, it is just a roof and four walls where they are safe and dry. Habitat for Humanity believes that simple, decent shelter is a basic human right and helps break the cycle of poverty. The need in the Asia-Pacific region is immense. Habitat for Humanity builds, rehabilitates and repairs simple, decent, affordable homes in sustainable communities with support from homeowner families, volunteers, donors and partner organizations in more than 20 countries across the Asia-Pacific region. The concept that grew into Habitat for Humanity was born in the USA at Koinonia Farm, a small, interracial, Christian farming community. Koinonia Farm was founded in 1942 outside of Americus, Georgia, by farmer and biblical scholar Clarence Jordan and others to promote racial reconciliation. Millard and Linda Fuller first visited Koinonia in 1965. They had recently left a successful business and an affluent lifestyle in Montgomery, Alabama, to begin a new life of Christian service. At Koinonia, Jordan and Fuller developed the concept of “partnership housing.” The concept centered on those in need of adequate shelter working side by side with volunteers to build simple, decent houses. The houses would be built at no profit and interest would not be charged on the loans. Building costs would be financed by a revolving fund called “The Fund for Humanity.” The fund’s money would come from the new homeowners’ house payments, no-interest loans provided by supporters and money earned by fundraising activities. The monies in the Fund for Humanity would be used to build more houses. World vision is in eighth position in our List of Top 10 Non Governmental Organizations in USA. World Vision is an international partnership of Christians whose mission is to follow their Lord and Savior Jesus Christ in working with the poor and oppressed to promote human transformation, seek justice, and bear witness to the good news of the Kingdom of God. Promotion of justice that seeks to change unjust structures affecting the poor among whom they work. They are called to serve the people in greatest need around the world, to relieve their suffering and to promote the transformation of their condition of life. They stand in solidarity in a common search for justice. They seek to understand the situation of the poor and work alongside them toward fullness of life. They share their discovery of eternal hope in Jesus Christ. They seek to facilitate an engagement between the poor and the affluent that opens both to transformation. They respect the poor as active participants, not passive recipients, in this relationship. They are people from whom others may learn and receive, as well as give. The need for transformation is common to all. Together they share a quest for justice, peace, reconciliation, and healing in a broken world. They regard all people as created and loved by God. they give priority to people before money, structure, systems, and other institutional machinery. They act in ways that respect the dignity, uniqueness, and intrinsic worth of every person — the poor, the donors, their staff and their families, boards, and volunteers. They celebrate the richness of diversity in human personality, culture, and contribution. American cancer society is in nineth position in our List of Top 10 Non Governmental Organizations in USA. They set goals and make plans – they don’t let cancer keep us from planning things. And I am committed to getting some form of exercise every single day. Even in the hospital, I force myself to be active. At the American Cancer Society, they’re on a mission to free the world from cancer. Until they do, they’ll be funding and conducting research, sharing expert information, supporting patients, and spreading the word about prevention. All so you can live longer — and better. Whether they’re working in a community near you or one halfway around the world, their mission remains the same: to save lives. See what they’ve been up to lately — and get to know the American Cancer Society a little bit better. They know a cancer diagnosis can be scary – and overwhelming. Whether you need emotional support, the latest cancer information, a ride to chemo, or a place to stay when treatment is far away, they’re here to help – 24 hours a day, 7 days a week. American Cancer Society having this Hope Lodge for a family that has to go through something as traumatic as they are — I can’t describe it… They’ve saved us so much money and so much stress. Our volunteers are at the heart of everything they do. They fundraise, they help patients, they advocate for life-saving change, and they’re committed to helping us achieve their mission. They’d love for you to join them. Over the past 100 years, the American Cancer Society has been working relentlessly to end cancer. They’re not there yet, but with the help of their donors, they’ve made some incredible progress. You can reduce your risk of cancer by making healthy choices like eating right, staying active and not smoking. It’s also important to follow recommended screening guidelines, which can help detect certain cancers early. Patient access network foundation is in tenth position in our List of Top 10 Non Governmental Organizations in USA. The inability to pay for essential medical care is not just a significant problem for the uninsured, but also for people who have health insurance. Rising deductibles, premiums, and co-insurance prevent many people from being able to afford the critical treatment they need. To help underinsured people with life-threatening, chronic and rare diseases get the medications and treatment they need by paying for their out-of-pocket costs and advocating for improved access and affordability. They envision a nation in which everyone can get the health care they need. The Patient Access Network (PAN) Foundation is an independent, national 501 (c)(3) organization dedicated to helping federally and commercially insured people living with life-threatening, chronic and rare diseases with the out-of-pocket costs for their prescribed medications. Partnering with generous donors, healthcare providers and pharmacies, PAN provides the under insured population access to the healthcare treatments they need to best manage their conditions and focus on improving their quality of life. Since its founding in 2004, PAN has provided nearly 1 million under insured patients with over $2.6 billion in financial assistance, through nearly 60 disease-specific programs. If you want to donate to a noble cause then visit the web sites of above mentioned Non Governmental organizations in USA and donate to them. Every penny you donate will help in creating a huge impact in the lives of underprivileged community. Donate now and make a real difference!